(Reuters) - U.S. Senator Kamala Harris, a former prosecutor who is seeking the Democratic Party's 2020 presidential nomination, said on Monday she had smoked marijuana in college and supported its legalization. "And I did inhale," she said, laughing, in a swipe at former President Bill Clinton, who famously said he had tried marijuana but had not inhaled. 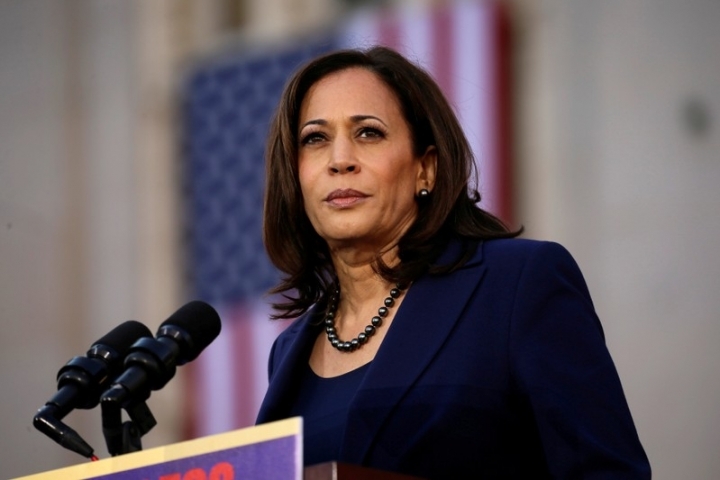 Harris, 54, is among a diverse and growing group of Democrats seeking to challenge Republican President Donald Trump in next year's presidential election. Fellow Senators Amy Klobuchar of Minnesota and Elizabeth Warren of Massachusetts launched their bids over the weekend. A former San Francisco prosecutor, Harris stopped short of endorsing legalized pot during a tight but ultimately successful race to become California's attorney general in 2014. Asked by the program's host whether she would use marijuana again if it became legal, Harris laughed but did not answer the question directly. "It gives a lot of people joy," she said. "And we need more joy."